Over the past three months Australia has seen a steadily improving employment landscape, thanks in no small part to the growing number of residential and infrastructure projects. Across the ditch, New Zealand has an unprecedented workload. Here we look at the construction & property job market in both countries. They say positivity is infectious – but it’s not always easy. In Australia’s case, employers have been walking a long road back to their current state of confidence. They are now transitioning away from higher levels of temporary and contract roles back to more permanent jobs. They expect business activity to increase in the next 12 months, and are willing to expand their teams. Driving this change is the construction & property sector. With a growing number of residential and infrastructure projects, especially in New South Wales, it is on solid footing. Strong infrastructure activity in many locations in Australia is creating job opportunities, especially for Project Managers, Forepersons, Site Supervisors, Highway and Bridge Engineers, Civil Drafters, Transport Planners, Building Structural Engineers and Contract Administrators. Already many highly experienced candidates and those with specialised skills have secured a step up or relocated to states where demand is high, particularly to New South Wales. The roll out of the National Broadband Network also continues to generate candidate demand in different parts of Australia. Major infrastructure projects are also fuelling candidate demand in Western Australia. This is welcome news following the impact of the declining price of commodities. The Northern Territory meanwhile is in a unique situation. Employers in the Top End are experiencing a shortage of locally-based candidates. This has been made worse by the high cost of living, which deters outside candidates from relocating. Australia’s residential property market is benefiting from a prolonged period of low interest rates, increased consumer confidence and spending, population growth and overseas investment. This has created a very active residential property market in NSW, Queensland, Victoria and Western Australia. While most people are aware of these markets, the Gold Coast is a lesser-known but also strong market with $2 billion worth of residential projects under-way or in the pipeline. As a result, we’re seeing high demand for staff throughout the design and build life cycle. Architects, Structural Engineers, Project Managers, Forepersons, Contract Administrators and Estimators with experience in multi-unit residential design are in high demand. Those candidates who work in project homes up and down the East Coast of Australia are needed too, as are Estimators and Land Surveyors. Sales Managers, Leasing Managers and Property Managers will be kept busy thanks to sustained high levels of residential property investment. In addition, real skills shortages are expected for Strata Managers as Australians continue to embrace inner city living and property developers continue to release new products in all capital cities. New Zealand is experiencing an acute shortage of candidates that shows no signs of easing. An unprecedented workload is expected in the next few years driven by three major factors – the Canterbury rebuild, commercial demand in Auckland, and increased investment in infrastructure. In a tight construction candidate pool, candidates in highest demand include Quantity Surveyors, Estimators and Project Managers, Leading Hands, Architects and entry-level Cadets. In the engineering market, national building upgrade and strengthening work is fuelling high candidate demand in already busy civil engineer, structural engineer, architecture and construction companies. In the property market the demand for talent in Auckland is almost back to pre-GFC levels thanks to a buoyant commercial, retail and industrial development market. In Christchurch turnover in the leasing space is fuelling demand for Sales and Leasing Agents and Property Managers. The Government sector is currently driving the Wellington candidate market, with planned major projects such as roads and housing as well as earthquake restrengthening work and the Christchurch rebuild all influencing recruitment activity. Looking ahead, the number one challenge will be attracting highly-skilled talent with the right combination of technical skills and cultural fit. When construction and property skills are in high demand, it’s easy to make the mistake of bringing in the right skills above the right cultural fit. 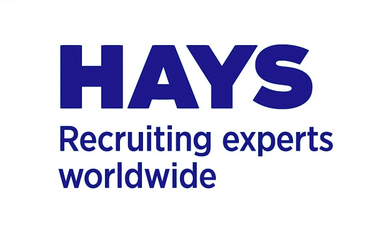 Getting hiring right will make retaining and developing great people much easier, which is why ongoing candidate engagement is so important to us at Hays. The relationships we build with our candidates and clients ensures we see the whole picture – from all angles – and offer the most comprehensive and current network of talent.